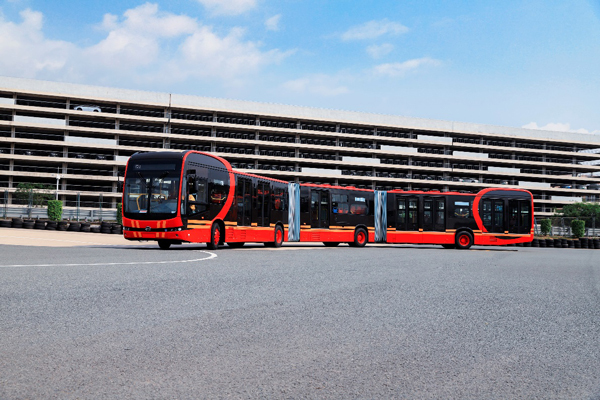 BYD is proud to announce the launch of the K12A at the company’s headquarters in Shenzhen, the world's first 27-m pure electric bi-articulated bus. With a passenger capacity of 250 people, it is the longest pure electric bus in the world and can travel at a maximum speed of 70 km/h. Additionally, it is also the world's first electric bus equipped with a distributed 4WD system, which can switch between 2WD and 4WD smoothly to meet the demands of different terrains, while also lowering the vehicle’s overall energy consumption. The K12A follows more of BYD's "fine traditions", including its battery heat management system, energy regenerative system and smart integrated design. 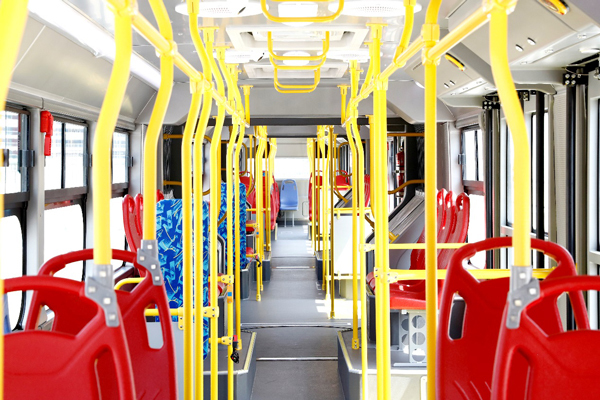 The bus is equipped with DC and AC charging ports that can be switched freely to meet customers' every need. One charge can last almost 300kms, and can therefore respond to the demands of a full day’s operation.